Well, I didn’t quite manage a totally legit one-a-day – to get the whole thing done has taken slightly over a year. But this shot here is the last of my 365. 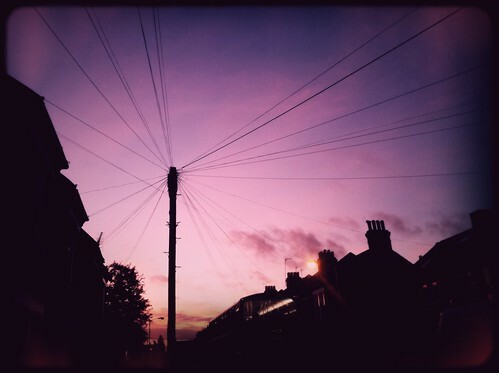 A sunset behind a telegraph pole seemed like a fitting end.